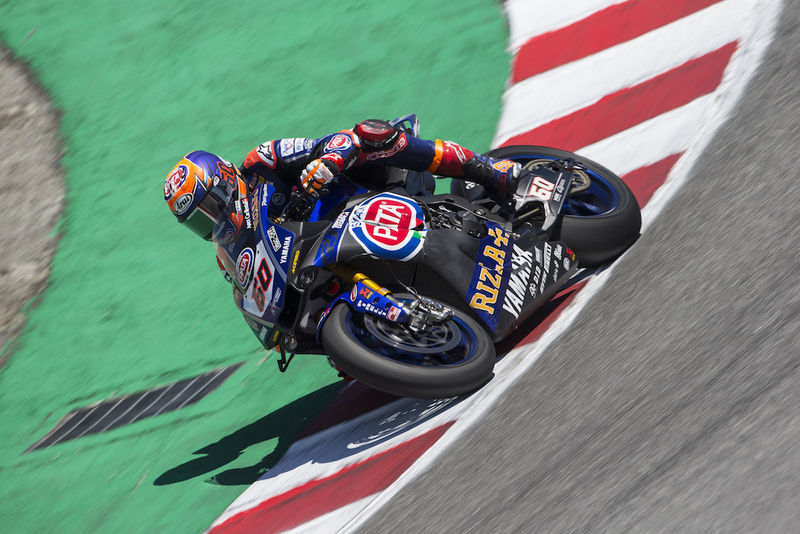 The Pata Yamaha Official WorldSBK Team and Michael van der Mark continued their strong run of form in Race 2 on Sunday at Laguna Seca at Round 8 of the 2018 MOTUL FIM World Superbike Championship. Van der Mark had a great start from fifth on the grid and rode an excellent race, battling for the podium in the early stages before crossing the line in fifth. Michael van der Mark struggled with grip issues on his way to a battling eighth-place finish in Race 1 but after an overnight setup change, when the lights went out on Sunday for Race 2, the 25-year-old Dutch rider got a blistering start from fifth on the grid and was up to second place by the end of the first lap. He fought hard in the podium battle, before dropping into the sights of his teammate Lowes by the mid-way point of the race. After pushing on the limit for a number of laps in an effort to close down Laverty ahead and also keep his teammate at bay, van der Mark succumbed to a move from Lowes with just over two laps to go. Despite this, he pushed right to the line to secure a strong fifth-place finish despite not having the easiest of weekends. After collecting 19 points over the weekend, Van der Mark remains third in the championship standings 215 points, 30 behind Chaz Davies in second. Up next for the Pata Yamaha Official WorldSBK Team is Round 9 of the 2018 WorldSBK Championship at Misano on the 6th-8th of July.